The rattlesnake is one beast that no one wants to run into. Their deadly bite can take out even the strongest man. There are 36 different species of rattlesnakes in the world and the rattle is what keeps predators away. A rattlesnake can shake his rattle 50 times per second and can do is sustained for up to four hours. Most people have seen a rattlesnake on television and heard its unmistakable rattle. So what, exactly, is inside a snake’s rattle? A trip to the Phoenix Zoo may reveal the answer. Comparing the rattle of a rattlesnake that was bought on eBay to a live one at the zoo could prove to be interesting. The YouTube channel “What’s Inside?” wanted to find out what was really inside those noisy snake rattles. What they found was a surprise. 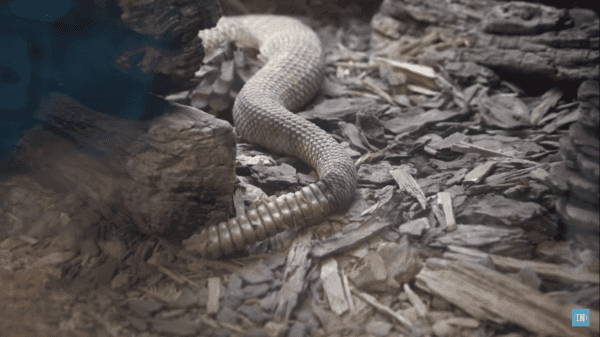 Using knowledge from the zoo and a very sharp razor, the dissection of the snake’s rattle led to a surprising discovery — the rattles are just empty shells that carry a stench. The shell is comparable to that of a brittle fingernail, according to Florida Museum. When rattlesnakes are born, they have only one button across the undeveloped rattle and it is called the “pre-button.” A few weeks later when another layer develops, a “button” appears, but it still doesn’t rattle or make any noise until they get a second layer. Only after developing a second layer can they fully use their rattle sound to scare off predators. Rattlesnakes have a second defense mechanism; when they are threatened, they hiss. Sara Viernum, a herpetologist based in Madison, Wisconsin said, “it is similar to a cat hissing when threatened by a dog,” according to Live Science. A popular rumor asserts that the longer a rattlesnake’s rattle is, the older the snake is. However, that’s not always the case. Sometimes they lose their rattle from a predator, a fight, or just from getting stuck somewhere. 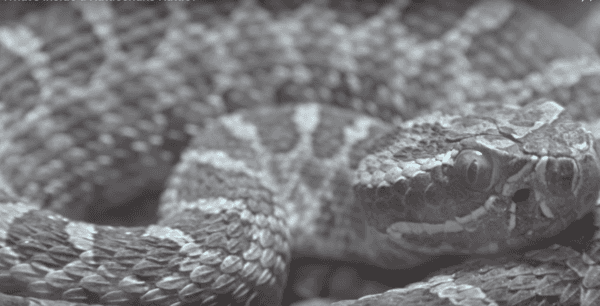 It’s as easy for a rattlesnake to lose its rattle as it is for a human to tear a fingernail. But the question still remains: if there is nothing inside the rattle, how does it make that sound?